The miaList is a celebration for industry people. Originally created by the mia to mark its 21st anniversary, it is now a landmark annual industry event. The miaList recognises and rewards those hardworking, enthusiastic, inspiring individuals who have such a positive effect on all they do. All of the individuals nominated to appear on the miaList go through a rigorous judging and assessment process culminating at the annual celebratory event where the final miaList is revealed. 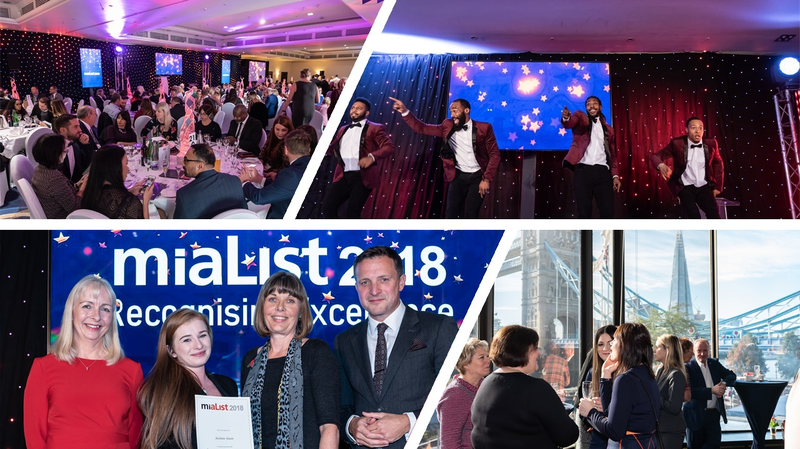 This special celebration lunch is always attended by people from all sectors of the industry and offers fantastic networking opportunities to all that attend, what better place to entertain industry colleagues, customers or your hard working team! Everyone! The miaList is a great opportunity to celebrate the superstars within the industry and to network with your peers.